Never judge a book by it’s movie!!! This is a very true statement, many movies just do not do the book justice leaving out important details and maybe even characters. This is the perfect t-shirt to show how you really feel, on the front in huge block lettering is the saying “THE BOOK WAS BETTER”, this will let everyone know your thoughts. This amazing t-shirt is available in 126 different styles for men, women and kids in many colors and sizes. You can also get this “THE BOOK WAS BETTER” print on many different shirt and hoodie styles. 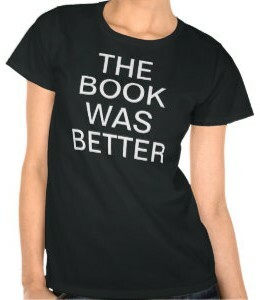 Perfect to wear to book club, get this The Book Was Better T-Shirt.